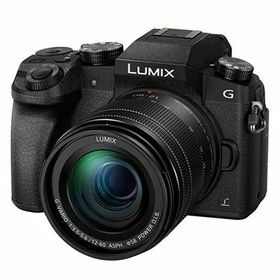 Panasonic’s LUMIX G cameras are renowned for their high quality video capability and the latest addition to the range is no exception. The LUMIX DMC-G7 records stunningly smooth, high-resolution 4K video (3840x2160) at four times the resolution of full-HD. The result is crystal clear footage that captures even the most intricate details, such as individual blades of grass or stars in the night sky. The LUMIX G7 features a 16-megapixel sensor that has been developed to achieve high resolution pictures and video, minimising distortion and graininess, even in low light conditions, for example a dimly lit restaurant or bar. The sensor is accompanied by a new and improved Venus Engine that accurately analyses, evaluates and reproduces every colour in every frame, resulting in crisp, clear and bright photos and videos that are true to the original. Panasonic’s LUMIX G Interchangeable lens cameras incorporate the latest technology in a considerably more compact and mobile design, compared to their larger DSLR counterparts. At just 410g (body, battery and SD card), the LUMIX DMC-G7 is the ideal travel companion. With a high performance OLED Live View Finder(LVF) and 3-inch 1040K-dot Free-Angle touch screen display, the LUMIX DMC-G7 is ready to accommodate any shooting style. You can either use the rear screen or the LVF to compose your shots, with both providing 100% field of view to ensure you’re not missing an even better shot at the edge of the frame. The camera’s range of customisable dials and a touch screen display also make choosing your settings easier than ever. Panasonic’s LUMIX G range is synonymous with fast and accurate Auto Focus (AF) functionality, meaning you can concentrate on framing your shot safe in the knowledge that your LUMIX camera will do the rest. The LUMIX DMC-G7 takes even less time to set focus than its predecessors, analysing the scene and adjusting settings in the blink of an eye. The result is crystal clear photos and video every time, even when you’re dealing with the most unpredictable, fast-moving subjects.